While I am woefully behind on the audit of my board game collection for Board Game Geek, if you were to ask me what I own more of than anything else, hands down it would be two player games. I own a lot of them, primarily because when I started playing board games, the only person I played with other than my weekly visit to an FLGS was my wife. So those were the games I’d buy. Sure I liked others, but no matter how much fun I had playing 7 Wonders, I wasn’t going to buy a copy for home when it was impossible to play with only one other person. 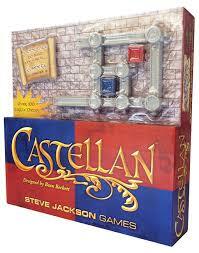 Castellan is dots but with awesome little castle pieces that you must piece together turn by turn. With a small deck of cards, a shared resource pool, and only a few opportunities to really break out, this quick game is AP-free and incredibly fun, whether with your spouse or your children. For some reason I almost never think to pull it out, but whenever I do it’s a winner. This can be a harder sell because of the theme, but the mechanics are about as simple as they come and my wife loves it. 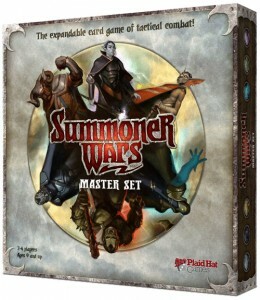 Summoner Wars is a two player card-based miniature game (without miniatures) that takes about 20-30 minutes at most and has 16 different factions (along with numerous second summoner and upgrade packs). So replayability and variety are not issues in the slightest. This isn’t a two player game, but it plays quite well with only two and again, my wife loves it. 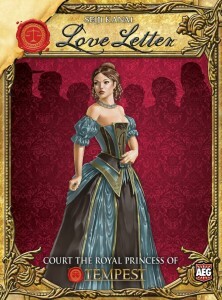 Even when we say another game on this list is too long, we’ll play Love Letter over and over again, eventually reaching the point that we could have played something much bigger and more intensive. This will always be a favorite whether it’s two, three or four people looking for a quick game. This is not a game I’ve had the pleasure of playing with my wife yet. Whether she would enjoy it or not remains up in the air, but as far as two player games go, it is by far one of my favorites. 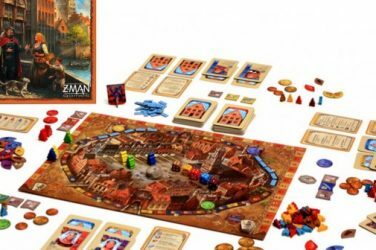 Streamlined mechanics, beautiful miniatures, a perfect environment for expansion, and quick, sub-40 minute games with vast replayability mean it’s an easy pick if you need a simpler miniature game for your collection. The Duke was one of my top games for 2013 and probably the one game I’ve played the most since I picked it up. Combining the one on one grid style of chess with a deck builder, you can draw tiles, move tiles, and try to capture the opponent’s Duke over the course of between 10-40 minutes (depending on how good you both are). 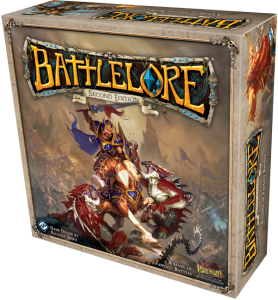 There are four expansions already and the game is a blast. 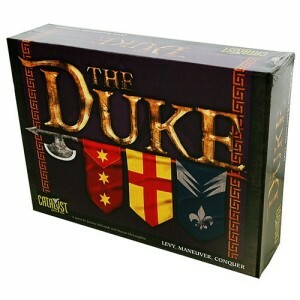 The learning curve is short, but like all good two player games, The Duke takes a long time to master. Okay, so this isn’t a two player game strictly speaking, nor have I played it with my wife or many of the people in my game group. But I have played it online more than a handful of times, and it’s easily a new favorite. 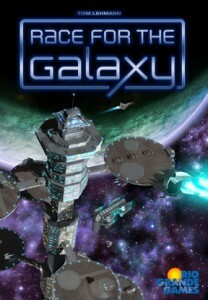 Like San Juan but bigger, better and in space, Race for the Galaxy features a LOT of iconography, so the learning curve is a bit steeper, but once you figure it out, you’ll be able to knock out two player games in less than 30-40 minutes. Keep in mind these are not necessarily my picks for the BEST two player games out there. There are quite a few others I didn’t mention – Lost Cities, Rivet Wars, War of the Ring, and just about any LCG from Fantasy Flight. That said, the six listed are regular favorites – the kinds of games that my wife and I can play over and over again, regardless of how long the day was, how tired we are, or how interesting our Netflix queue looks.